"Multiple iPhone price cuts did not stop China iPhone search trends from weakening further while February supplier sales were abysmal, decelerating on a year over year basis vs. January," Shawn Harrison told Bloomberg. Searches on Google and China's Baidu are said to be down year-over-year, in fact by 47 percent on Baidu. More damningly, Harrison observed that of 42 Apple suppliers checked by Longbow, 37 of them recorded "worse than seasonal" sales in February. "Without iPhone demand acceleration on the horizon, we currently do not see any catalysts near term to drive significant EPS [earnings per share] upside," he commented. Apple is likely to announce second-quarter results towards the end of April. The current Wall Street consensus is EPS of $2.38 on revenue of $57.54 billion, which implies a 5.9 percent fall in sales year-over-year, and a decline of almost 13 percent in profitability. The company's iPhone sales dove 15 percent in the December quarter, leading to lower-than-anticipated revenue of $84.3 billion. This was blamed primarily on the Chinese market, where competition from lower-cost local smartphone brands overlapped with Apple once again hiking iPhone prices. The company has tried a variety of pricing tactics to revive iPhone sales, but these appear to be lessening the damage rather than turning things around. Some analysts have predicted that Apple won't see a true recovery in iPhone demand until 2019 models launch this fall. A JPMorgan memo issued this week indicated that aggregate revenues for suppliers in the firm's tracker declined 1 percent year-on-year in the first two months of the year, a drastic change from the 7 percent growth seen in the fourth quarter of 2018. For comparison, the same periods in 2018 and 2017 witnessed growth of 13 percent and 4 percent respectively. Bank of America proposed that now is an opportune time to buy Apple stock, taking advantage of its low price and potential in healthcare and services. Let's see what Apple does to get their act together in China. Nothing better to consumers that a company trying hard to maintain its shares on a struggling market or having that company dying on that market all together. Mine as well in North America. Apple finally made a huge mistake when they released the over priced toys last year, thinking that it would improve their bottom line, but have since realized their mistake and will now have to really come begging. "Toys". Are the knockoffs "toys" also? What Harrison hasn’t mentioned is that government encourages not purchasing Apple products at this time and says it’s citizens have a patriotic duty to buy Chinese products during the trade war that the Trump administration started. So this lull in demand is caused by their government and not by consumers who were taking advantage of special financing. This puts China in a precarious situation. Ultimately, they hurt themselves since lower sales will also affect manufacturing output which is what we are seeing now with other companies who make components for the iPhone. They also know that Apple is not a willing party to this trade war. What benefit fit in the long run will this have? I doubt we will see any control in theft of IP. Some concessions have been made, but does it add up to a benefit when you total up all of the lost revenue from all business with China due to this conflict? Apple geek here. Hopefully all this means cheaper, better iPhones to come. Apple needs to release a folding phone. Not quite, where do you think the homegrown Chinese phones the Chinese are buying are made? Taiwan? Interesting you didn't include Samsung phones that are priced almost the same, and let's not forget Samsung's $2K folding phone disaster. But hey, you keep pushing your hate agenda to suit your narrative. Maybe troll better next time? They won't. Especially as they have other ecosystems than Apple's - making iPhones foreign, overpriced exotics. They won’t if there no ip to steal anymore because Apple and others eventually move production to India or South America. This is a really insightful comment and I think worthy of Apple exploring as smartphones become more commoditized and part of a mature market like the automotive industry has been for a long time. Maybe not a perfect analogy but still a nice one! Where are those who keep saying that Cook is doing a wonderful job? Is it wonderful now? This is what happens when you lack product vision and you keep coming up with weak products that you try to pass off as premium. At some point, the chickens come home to roost. Tim Apple needs to get a clue. Just one year ago from the South China Morning Post; "Mainland Chinese consumers had accounted for about a third of all iPhone users globally, according to research firm Newzoo. 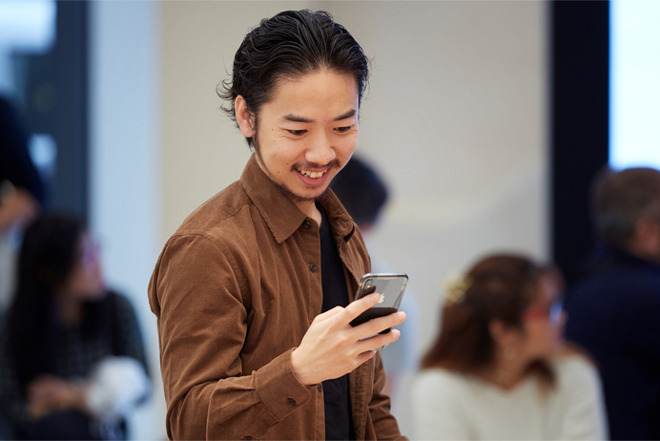 It estimated the mainland had 243 million iPhone users as of July last year, which made up 33 per cent of the worldwide total of 728 million in that period." A dying market eh? Outside the fog of Apple click-bait bashing, companies would be 'dying' to have those kind of sales numbers even with a 15% drop in sales. Perhaps that underscores the importance of the Chinese market for Apple. Clearly, there are problems to be resolved and many of them have hit at the same time. If Apple doesn't revise its guidance down for this quarter, I think it will be another flat period for iPhone unit sales (in line with the last few years). If they revise guidance downwards however, you will see people freaking out. The current phones, at the asking prices, aren't compelling enough IMO. The price of Apple high end phone needs to come down to around $700. It’s just too expensive for what it is. I am not upgrading any of my Apple devices because of price, 2015 ipads, 2012 imacs, 2014 MBP, iphone 6. Holding on until it breaks. Latest Apple purchased: Apple TV 4k because I wanted 4k and iphone X because my 6 plus died is sea water. I am considering buying an Apple watch if they continu to add medical features on it.